Gather your reusable shopping bags and put on your walking shoes! Put-In-Bay shopping is a special experience for friends, families or even someone who needs a little “me time.” If you are not sure where to start, try Bay View Gifts and Apparel. 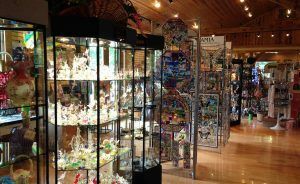 Or venture into the Crystal Cave Gift Shop, which sells some of the island’s best treasures: geodes, crystals, gems from the beautiful caves, and bottles of wine from Ohio’s oldest winery, Heineman’s Winery. You may wish to stay overnight and spend multiple days finding the perfect present for a loved one. No type of island shopping is more fun than “Put-in-Bay Shopping and Lake Erie Islands shopping.” Put-in-Bay, Port Clinton, and the surrounding area offer dozens upon dozens of delightfully unique shopping stores and galleries. You’re sure to go home with that one-of-a-kind island find. The owners strive to provide shoppers with the perfect gift or home decor item to bring a little nautical vibe to any home. Don’t forget Kelleys Island either for more historical items and a quieter experience. Take a respite from the sun. Stroll along covered sidewalks. Enjoy the lush downtown park landscaping. Or grab a bite of lunch if you need a break from shopping on Put-in-Bay. Most of our quaint Put-in-Bay shopping areas have plenty of golf cart parking, handicapped accessible shops, and restaurants for your dining pleasure. Some shops even allow you to bring in your pets, and most outdoor dining venues allow them as well. Need sunglasses, a hat, sunblock or some keepsake gifts to take home with you? Check out our Stores and Specialty Retailers such as antiques, art galleries, fine jewelers, beach and swimwear retailers, clothing stores, gifts and souvenir shops, and so much more. Even find a big funny hat to wear later in the evening at one of our late-night clubs or bars. You could easily spend your whole day enjoying all that Put-in-Bay shopping has to offer. Put-in-Bay Ohio shopping opportunities have greatly expanded in recent years, especially in the historic downtown waterfront area. As old names like The Cargo Net disappear, new ones such as Lovellas emerge. Today you’ll find a diverse selection of stores that range from antique shops to art galleries. Find fine apparel boutiques, fun gift and souvenir shops, and a classic nautical store. You can even discover a distillery and a wonderful general store with a great locally produced wine selection, among many others. The way to navigate the downtown area’s active shopping scene is on foot. Park the golf cart and stroll around from shop to shop, ducking in anywhere that catches your eye. There are also more small shops spread across the island, where you’ll find several other great locally run Put-in-Bay shopping discoveries. Most of the necessities you’ll need – groceries, sundries, medical, ice, gasoline and the like – can be found either at the General Store or the Gas Station. We hope that this guide helps you uncover a couple of places with true local flavor. area plus a lot of on-street parking spaces. Oftentimes, especially in the summer, all the spaces near the waterfront will be full. If you can’t find a parking space, don’t worry. Just head over behind the Chamber of Commerce building, where there is more than enough free parking. Watch the street signs! Make the most out of your experience in Put-in-Bay shopping by checking out what special daily sales could help you score deals and special offerings currently happening. And no shopping trip should begin before you see what great coupons and deals you can score on our Put-in-Bay Coupons page for Put-in-Bay Ohio shops in addition to every dining and lodging coupon available as well. But you can’t stop there! Just as the island offers natural beauty, its shops offer handmade, natural items, too. At Freshwater Remedies, you will find skin cleansers, balms, and toners, along with incense and jewelry. However, there’s more than one way to catch that island vibe! At Great Lakes Tobacconist, the owner personally blends cigars to invoke different parts of the island – a special treat for the special people in your life. Even fashionistas can find the perfect fit during their shopping excursion in Put-In-Bay Ohio! Misty Bay Boutique boasts a highly curated collection of clothing. At Jessie’s Jewelry, you will find delicate, elegant jewelry that truly embodies the island. 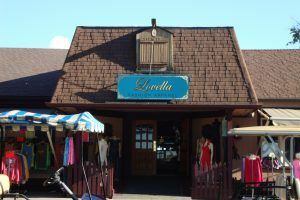 From surf shops and gift shops to trinkets, T-shirts and timeless treats, you will find anything and everything at the shops on our little Lake Erie island. Don’t put off your Put-in-Bay shopping trip any longer. Make your Put-in-Bay reservations today!